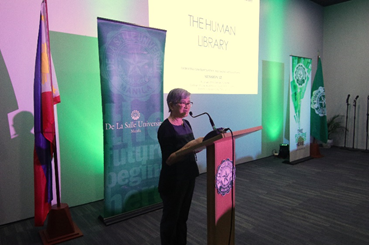 The 12th session of the DLSU Libraries’ Human Library (HL) program was held in the DLSU Rufino Campus, BGC on January 25, 2018. 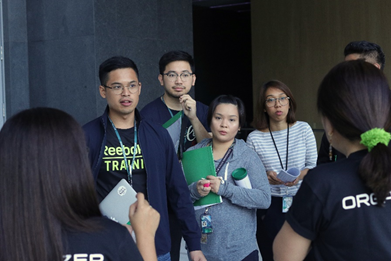 The program was brought all the way from the Manila Campus to Bonifacio Global City in order to let law students (1) feel and understand the situations of people that are recipients of prejudice due to their appearance, culture, economic status, etc. ; (2) strengthen their neutral views on people and situations by lessening their prejudices against certain people; and, (3) improve their sense of judgement through listening deeply to prejudiced people. 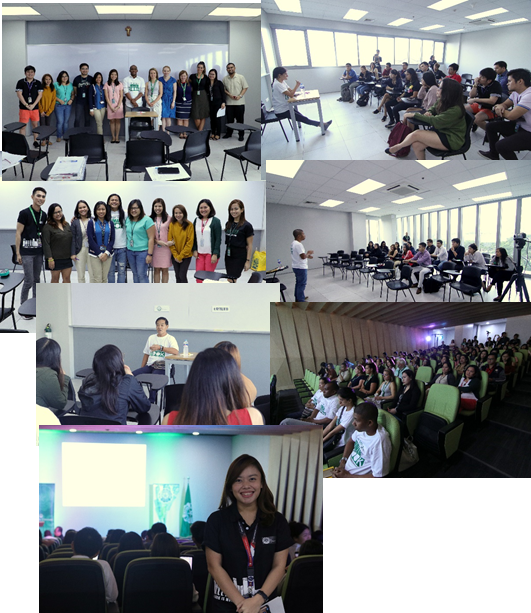 Although the HL has already run for twelve (12) sessions, this was the first time it was brought to the Rufino Campus. In order to capture the audience, an exhibit was set up which lasted for 1 week, catchy posters in various strategic places were posted in the campus, as well as spread using social media, word-of-mouth. The Committee also partnered up with the Development Legal Advocacy Clinic (DLAC) through its adviser, Atty. Ricado “Bombi” Sunga III. DLAC is the arm of the College of Law that provides legal aid to marginalized people in and out of the community. Readers were treated to 5 human books: (1) Katutubo, authored by Mr. Norman King, representing indigenous peoples; (2) Poverty, Facebook, and How to Help a Street Kid, by Mr. Edwin Nombre Pamintuan, representing the illegal settlers, (3) A Journey to Self-Discovery, written by Mr. John Phillip Binondo, a mixed ethnicity representative, (4) Tatak Rehas, by Mr. Pedrito Gozo, an ex-convict; and (5) Dyosa, authored by Ms. Rosemarie Olan, a person with disability. Mr. Edwin Nombre Pamanian, and Mr. Norman King. A total of 102 readers graced the activity, composing of 87 DLSU law students, 9 foreign students from Australia, and 5 law librarians from other schools. The whole session started with an opening program, with Atty. Vyva Victoria M. Aguirre giving the remarks of circumstance. It also ended with a closing program highlighted by Mr. Pedrito Gozo’s rendering of a very emotional song which presented the cry of convicts inside the cell. Both programs were hosted by Ms. Donna Lyn Labangon. 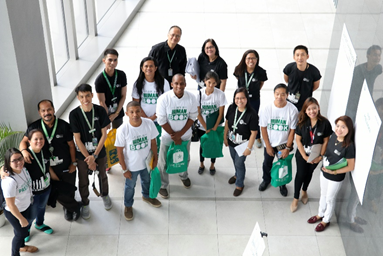 In order to assure the success of the program, the Law Library staff was supported by the HL Committee members from Taft and Laguna campuses. College of Law staff, namely, Ronel Saligumba, Janice Panganiban, Roselie Esguerra, and Reggie Reyes also helped in the logistics. While student volunteers, Ms. Christel Anne Q. Valeza, Mr. Martin Alfonso B. Villadolid, Ms. Irish May D. Quintana, and Sherwin Timothy C. Bries assisted in facilitating every reading session. 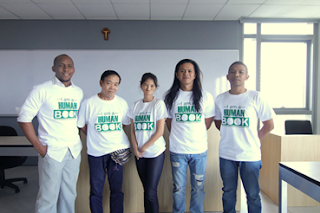 The Human Books with the Human Library Committee members. The student volunteers being briefed for their role for the Session. The said activity, which obtained a 99% positive rating, elicited a clamor for another holding of a HL session soon at the Rufino Campus, BGC.